Daguerreotype photography was introduced in 1839 and was quickly spread to the US by Samuel Morse, inventor of the telegraph. The equipment needed was relatively lightweight and the materials relatively inexpensive. An entire business community sprang up with gypsy photographers travelling from town to town, allowing residents to purchase a true portrait. 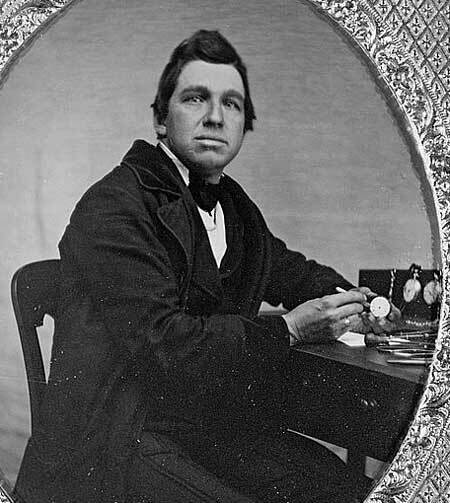 Prior to this, only the wealthy could afford painting portraits, but the advent of the daguerreotype process meant even lower and middle class citizens could have a portrait made. One of the most common styles of portrait was the occupational photograph. The itinerant photographer would visit a town and set up his studio in a hotel. Customers would come for their portraits and many would bring tools of their trade or work they had produced. These photographs give a unique glimpse into how average Americans dressed and what types of trade and work were common. A cooper and his tools of the trade. He had to bring his barrel and tools to the photography studio for the portrait. His dress, though not fancy, is well kept and lends an air of success and prosperity to the image. 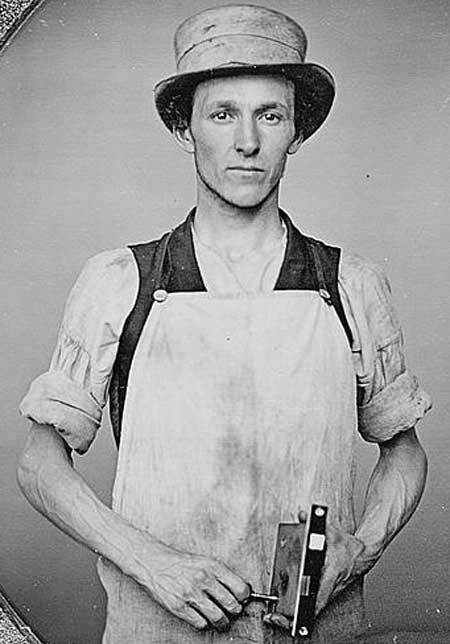 A young latchmaker from the 1850’s. Most striking in his photo is his gaunt face and sinewy arms. 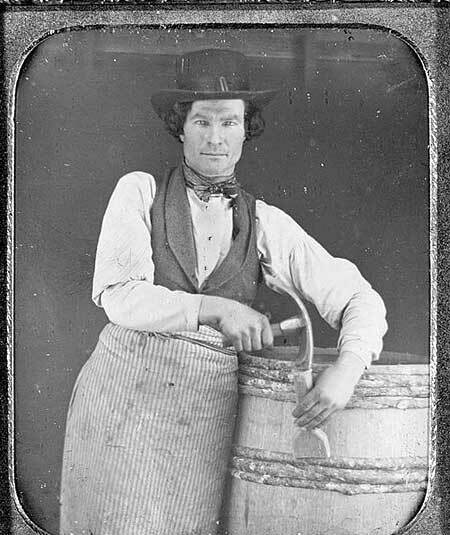 Though the cost of daguerreotypes was low, some workers would pay an entire day’s wage for it. A travelling salesman with his box of wares. In most occupational photos the subject stares directly into the camera or focuses on his work, but in this he stares intently into the distance, which makes you wonder what he was thinking. 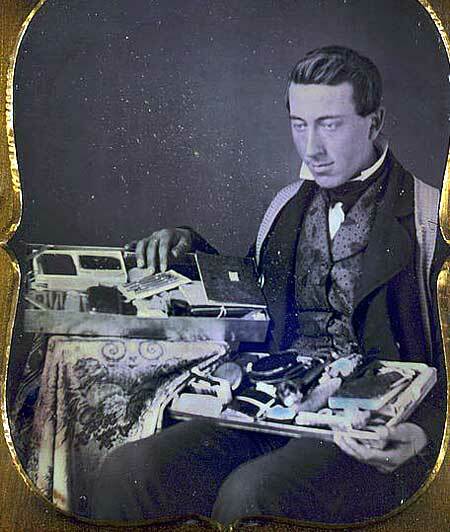 An 1850’s watchmaker with his repair tools and a display of watches. We are particularly fond of his velvet lapel and almost pompadour hair style.